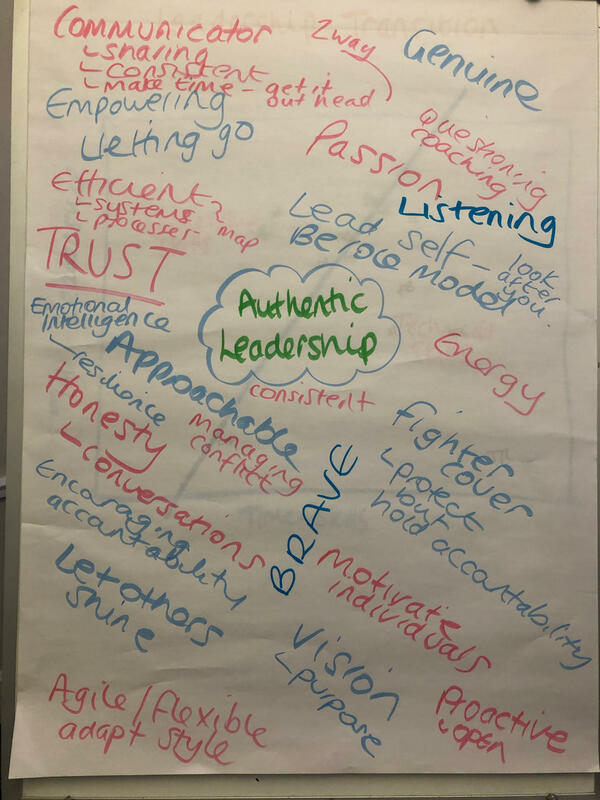 We had the pleasure of delivering a workshop on Authentic Leadership in partnership with Make it York last week and I thought I would share with you this fabulous flipchart which was pulled together by the group which captured many of the thoughts on what they think it takes to be an authentic leader. We all agreed that to be a truly authentic leader of our life, our family and our colleagues takes focus, reflection and time and is a commitment to ourselves to learn and grow. The lovely people who attended the session gave themselves the gift of a day to consider this important area and I was so impressed with all of them for their honesty, openness, willingness to share together and learn from each other! Great leaders in my book and all inspiring in their own way! Thank you to each one of you for a superb day ❤️ and also for their amazing feedback. It was clear that they got a lot from the event and you can read their feedback on our testimonial page. Let us ask you a few questions … answer honestly! 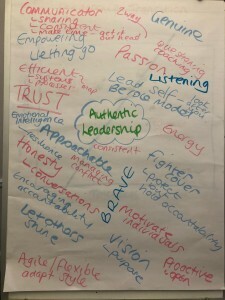 So, how many of the areas from the flipchart can you say you are demonstrating as a leader? When was the last time you asked others for feedback on your leadership? Which are your top 3 to focus on in 2019? Are you Inspiring people to be their very best? Are you building an environment of honesty and trust? Are you communicating and leading your people towards achieving business goals? If you or a colleague would like to be the very best Leader or Manager that you can possibly be, you may be interested in Pro-Development’s Leadership and Management Experiential Development Programme which has received huge acclaim. It has been described as both game changing and life changing. Click here for more information or contact us if you would like a chat.